A large fully fenced 5 bdrm home with the comforts of home away from home. 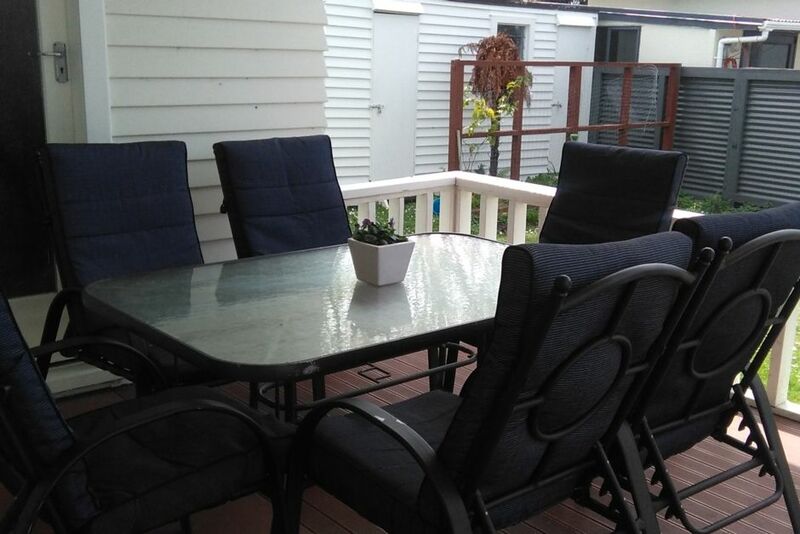 Enjoy being in a sought after Gisborne location with the option of a short stroll to the farmers markets, cafes and restaurants in Gisborne. Great area out back with an undercover entertaining area. This house has a heat pump for Air Conditioning and Warmth, a spacious lounge and large bedrooms so you will definitely enjoy your stay here. Full fenced so safe for children and pets. This house is also available all year round for businesses needing a place for workers or any short term rental situation. Price is negotiable and heavily discounted. Thanks Kirsty for your great feedback. You left the house immaculate. We welcome you back anytime. Realy enjoyed staying here. We'll located clean and tidy property with everything you need. Thanks Susie for your great feedback. You left the house immaculate. We welcome you back anytime.